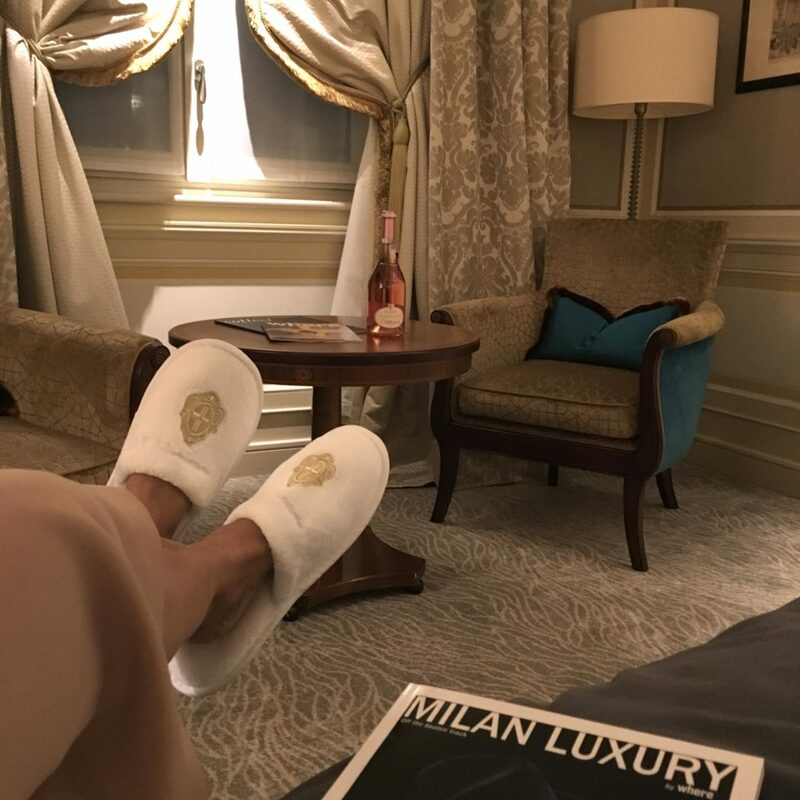 When planning a trip to Milan in November, we were knew there would be rain around that time and wanted to be in a luxe hotel so that if we don’t get to enjoy the city we can still enjoy our stay. 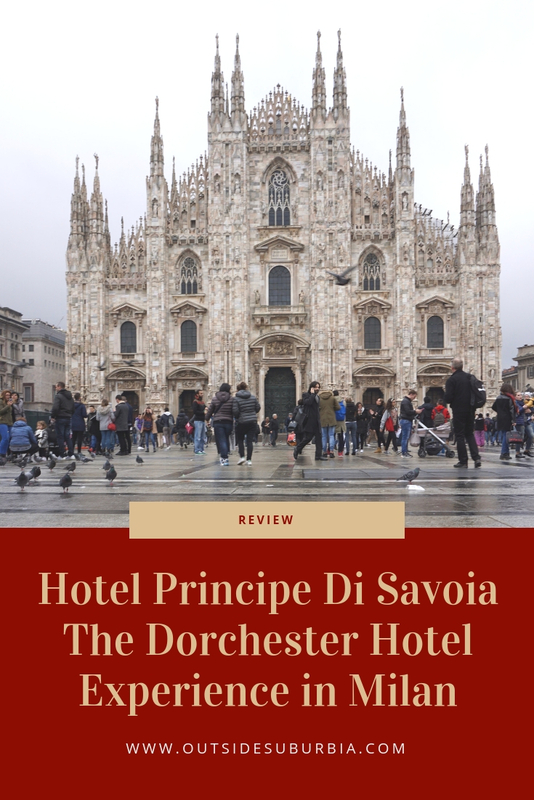 And we sure found the perfect hotel – The Hotel Principe Di Savoia which belongs to the Dorchester collection, a smaller hotel chain with the most luxurious hotels all over the world, with properties in London, Geneva, Paris and LA to name a few. It is located 10 minutes taxi ride away from Milan Central station in the beautiful and busy Piazza della Repubblica. 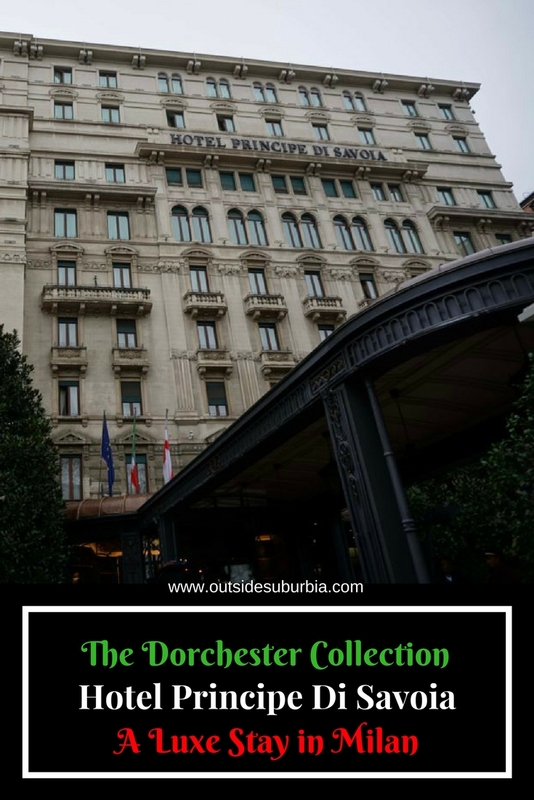 Hotel Principe di Savoia is a luxurious, one-of-a-kind Dorchester Hotel, with features and amenities that can easily make you want to move in forever. 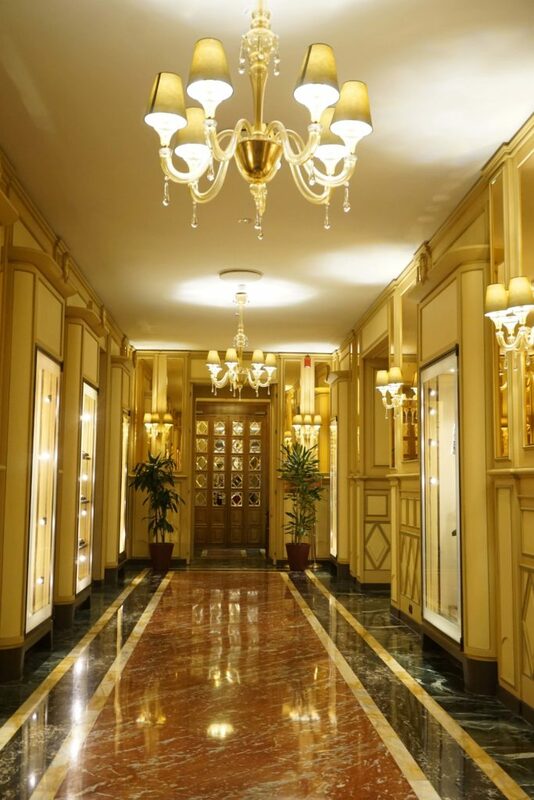 Constructed in a landmark building, Hotel Principe di Savoia is where old world luxury meets 21st century technology. 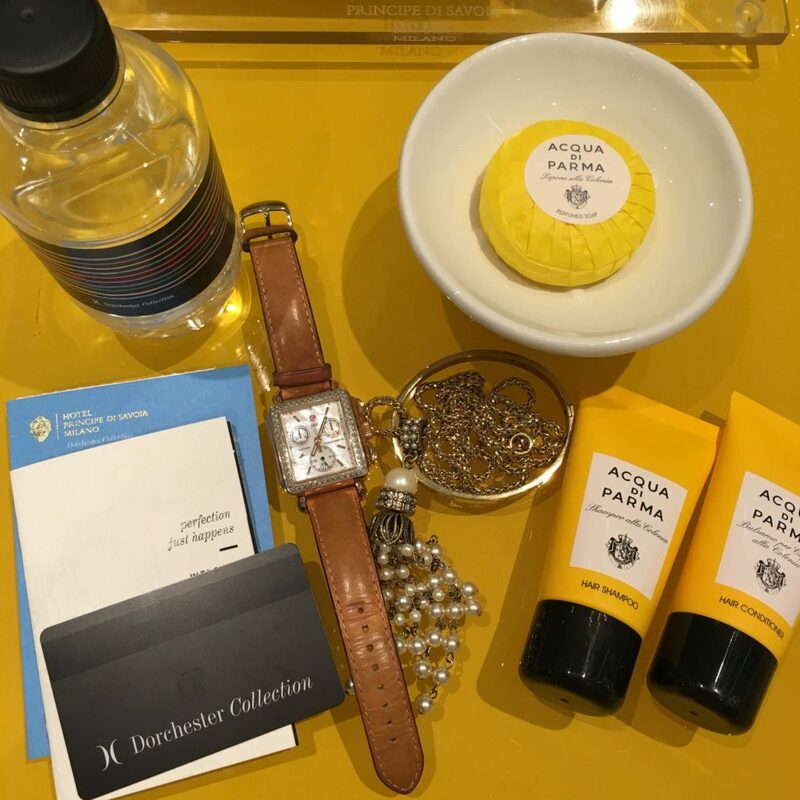 The hotel caters to a variety of clientele, including extended-stay vacationers and weekend retreaters all dressed stylishly in their best threads. Its 257 rooms and 44 suites feature large windows with scenic views, 19th century Italian styling, luxurious linens, and opulent marble everywhere. Small pets are welcome, and the hotel also provides rooms specially designed for the comfort of disabled guests. When we were making our booking we asked for a quad room or if we could add an additional bed for the kids but the hotel politely declined saying that would ruin the experience of the hotel. But we had our hearts set on this beautiful hotel and location and given that it tops the Tripadvisor reviews for Milan and booked 2 connected Mosaic rooms as suggested by the Hotel. Let me tell you my kids loved it – they had the blue and gray Mosaic room, the beds were so cozy, décor so luxurious and had all the modern amenities like WiFi and USB ports right next to their lamps on each side of the bed. They didn’t care about the mosaics of the pretty curtains but loved the modern touches. 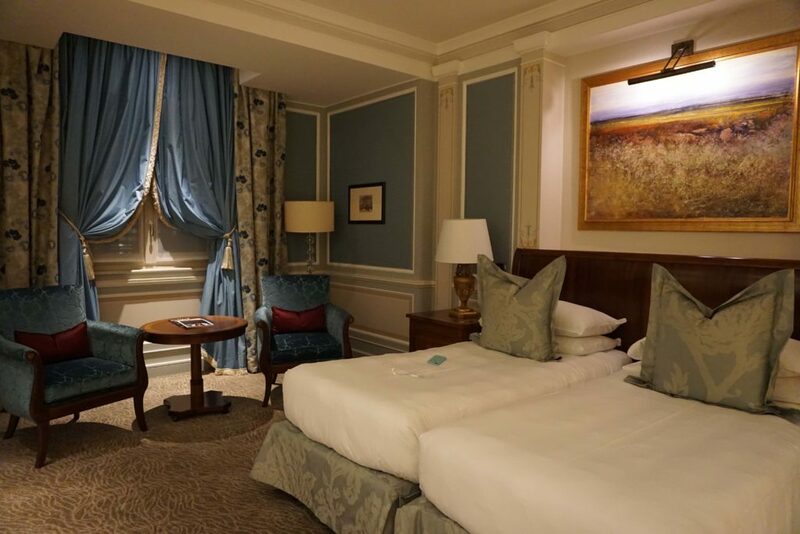 Spacious Mosaic Rooms capture the spirit of Principe di Savoia, Overlooking the famed Piazza della Repubbilica, they blend contemporary design with 19th century Italian style and are appointed with fine furniture and art. 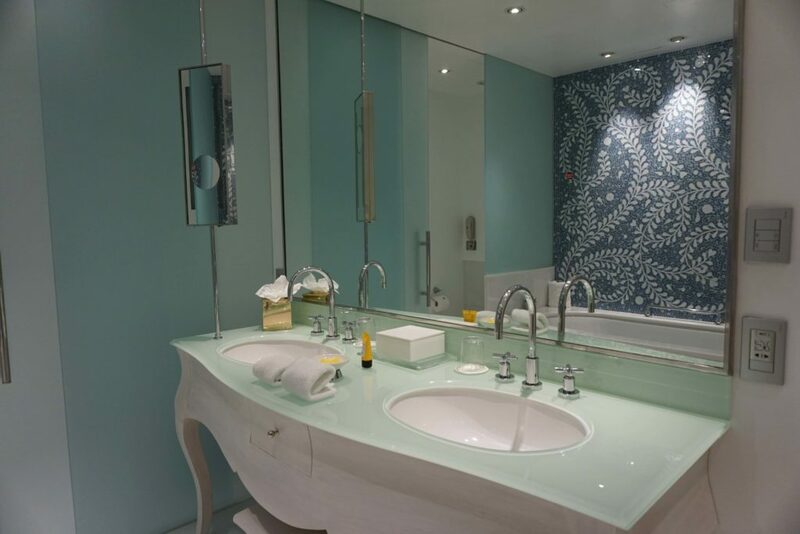 The charming name of these rooms, which offer three décor themes, we learnt is due to the large glass mosaics placed in bright spacious bathrooms, which feature luxurious white marble slabs as well as a separate dressing room and study with leather clad walls and doors. 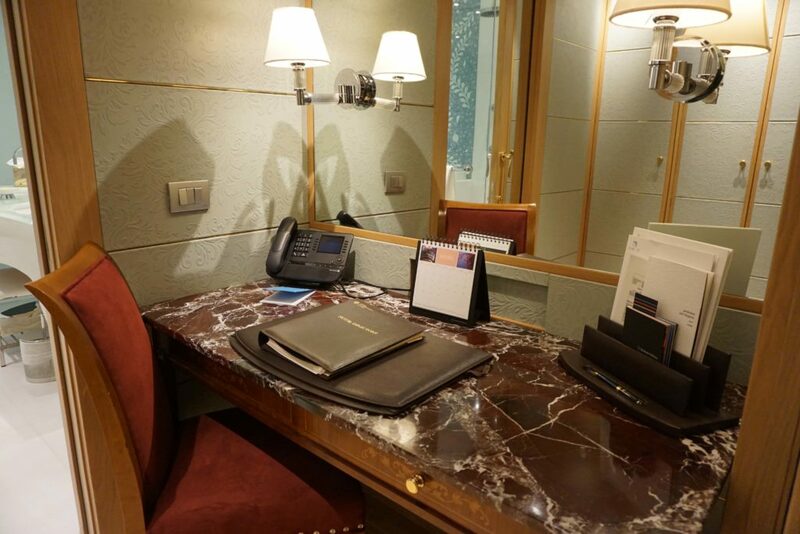 We enjoyed the separate dressing room, cozy sitting area and study, with its leather-covered walls. 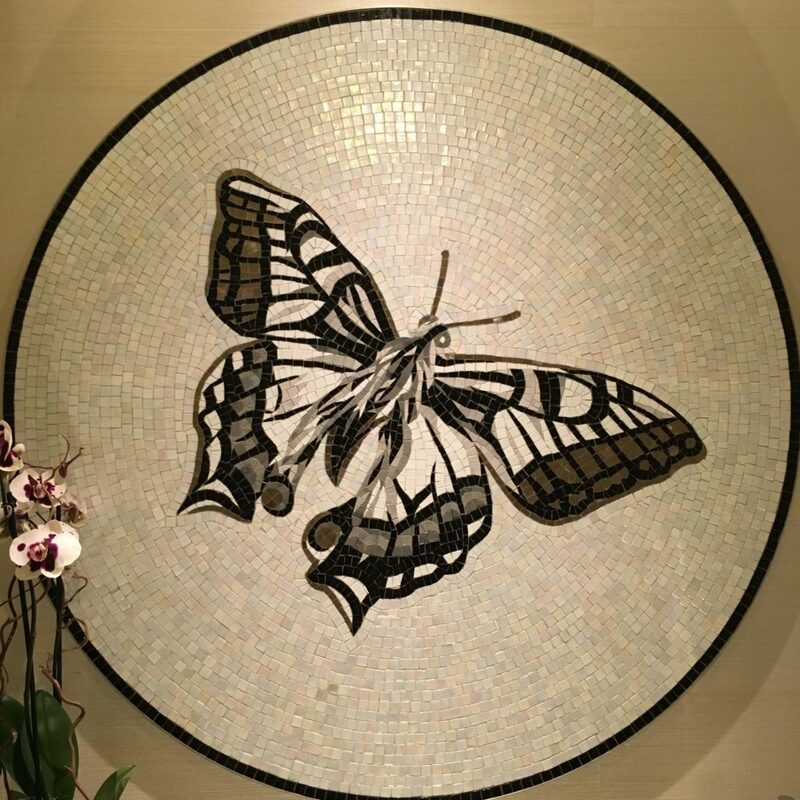 In the opulent bathroom, there were stunning mosaics. 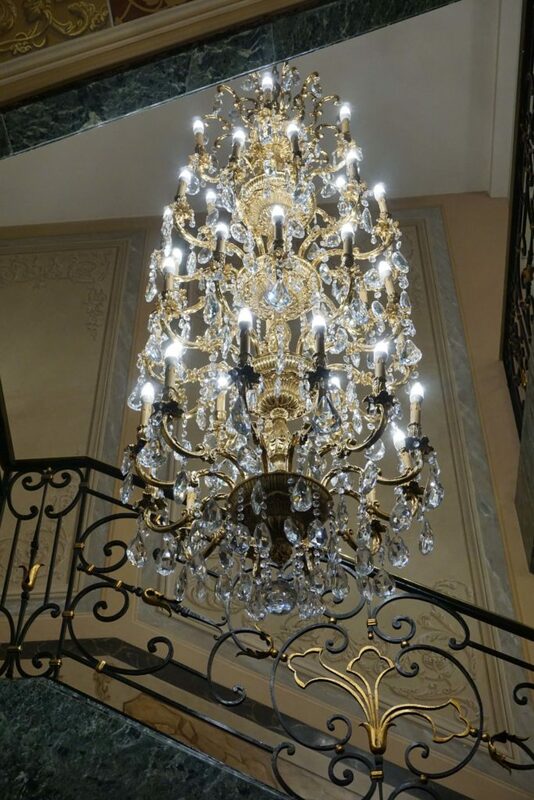 feature three different styles: Venetian style, with gold and turquoise nuances and a mirror in Murano glass in the bathroom; Florentine style in azure-grey shades, Neoclassical style with ruby reflecting in the lamps and chandeliers. 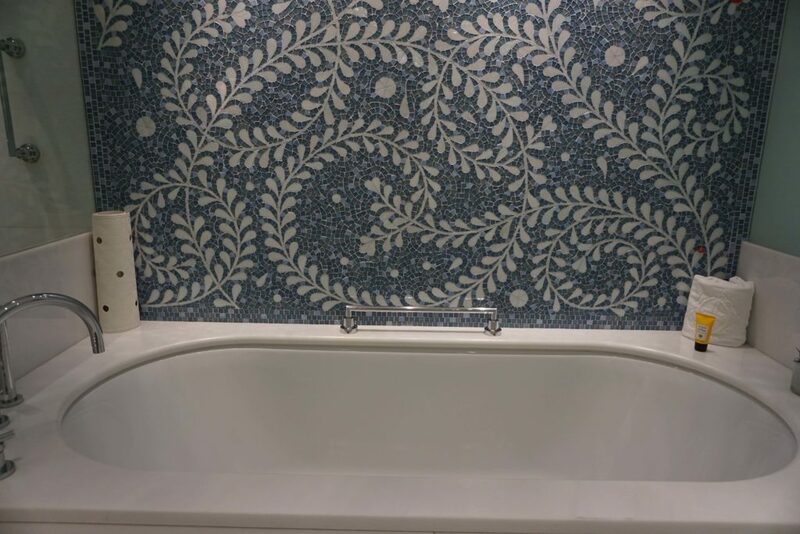 These same color patterns were reflected in the bathroom glass mosaic. Only complaint was that Mr. Suburbia couldn’t watch the Thanksgiving Cowboys game from the room. Which is kind of a tradition if you are from the US, to watch the American football game after a wonderful turkey meal. We had to skip both this year. 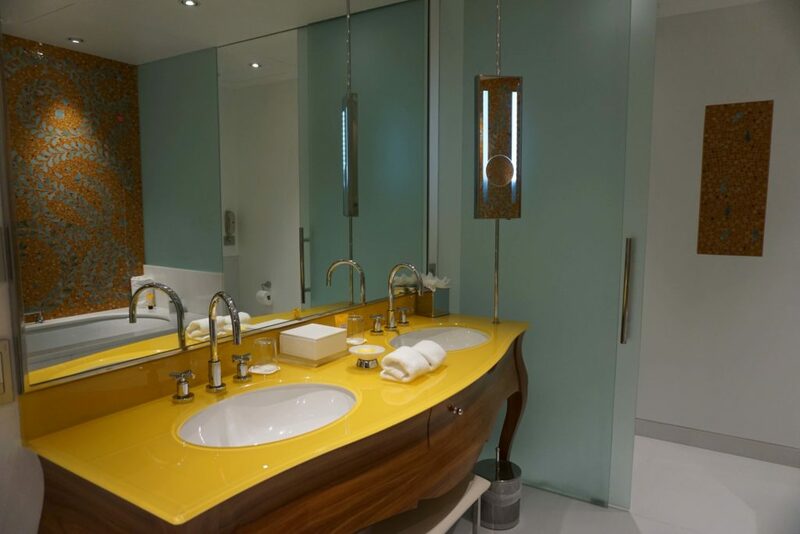 And what a lovely yellow bathroom with matching Murano mosaic, I might have to change up my bathroom at home soon! We loved the views from our windows over to the Piazza della Repubblica square. 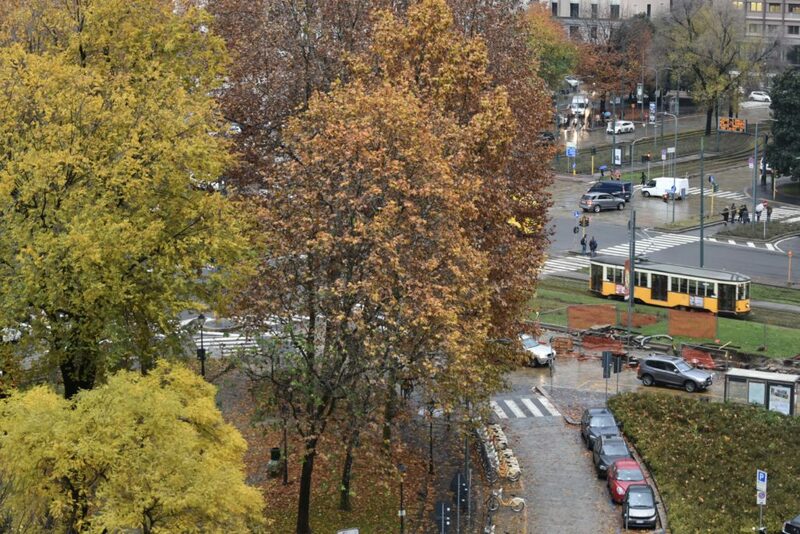 We loved watching the yellow trams making their way and enjoyed the fall colors over our morning coffee. Everyone was so friendly and went above and beyond to make our stay the best possible – from the concierge who tried to get us last minute reservations into the best restaurants around to the doorman who was always there with tips and suggestions for getting around and hailing us a taxi when needed. We loved walking around in the green or rather golden space across from the hotel as we made to the cafes nearby for breakfast. One my kids needed to work on their homework – the concierge printed and delivered the sheets we emailed them along with a pen. Kids loved ordering some room service desserts which was delivered and presented beautifully. 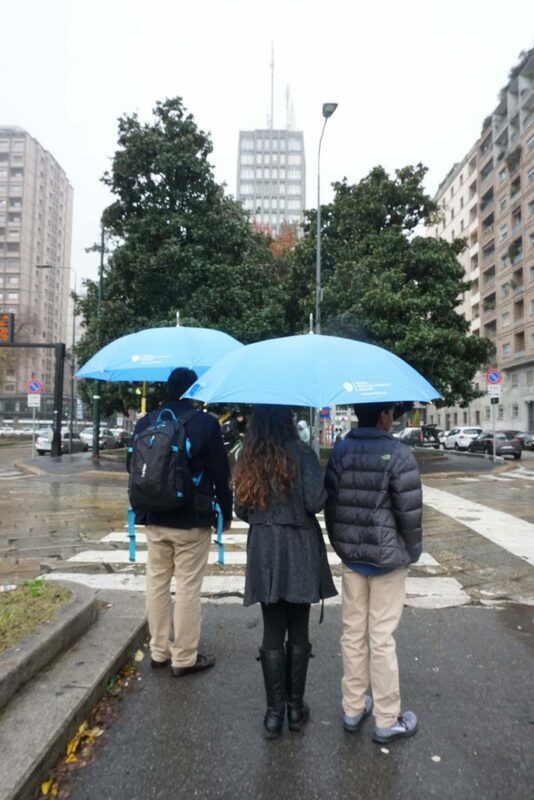 We also had our handy blue umbrellas from the hotel to shield the rain. 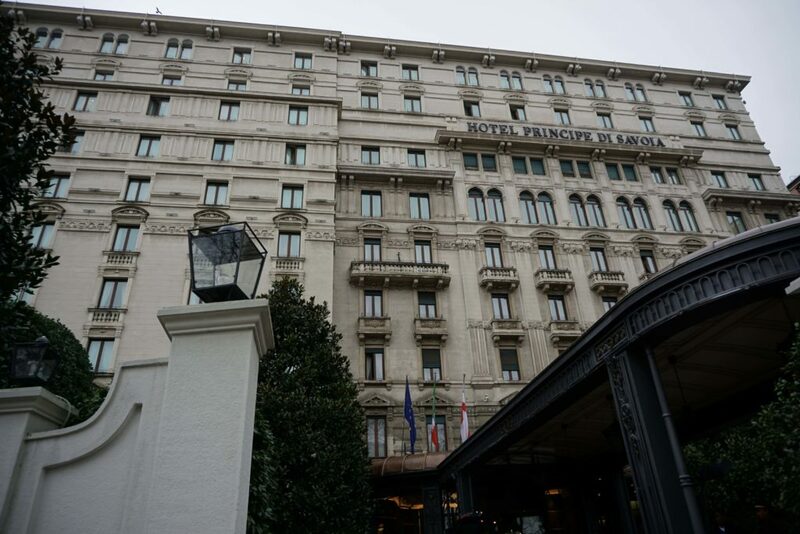 The hotel is about a 10-minute drive from the Milano Duomo – probably, the most famous and important sight of Milano. 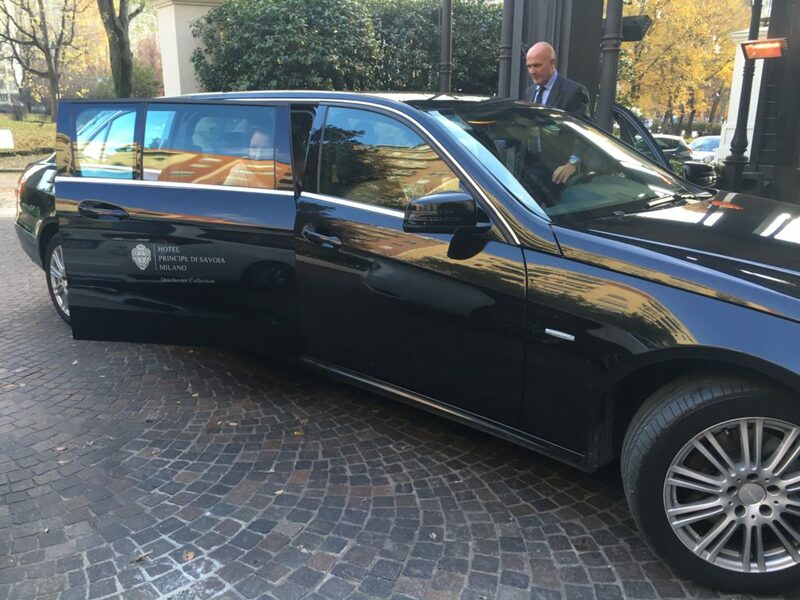 And the best thing about it is that the complimentary limousine service to the city center and the Duomo, which goes several times an hour during the day and also pickup from a designated location in the Piazza della Scala. If you didn’t want to leave the hotel, which is totally understandable – you can simply order room service or head to the rooftop terrace, to relax and take in some spectacular views of the city, which we didn’t get to do since it was raining during our trip. Or you can visit the lobby Principe Bar for some Italian Apertivo or people watch at the lobby lounge over some Espresso or go to Acanto Restaurant for some classic Italian cuisine. 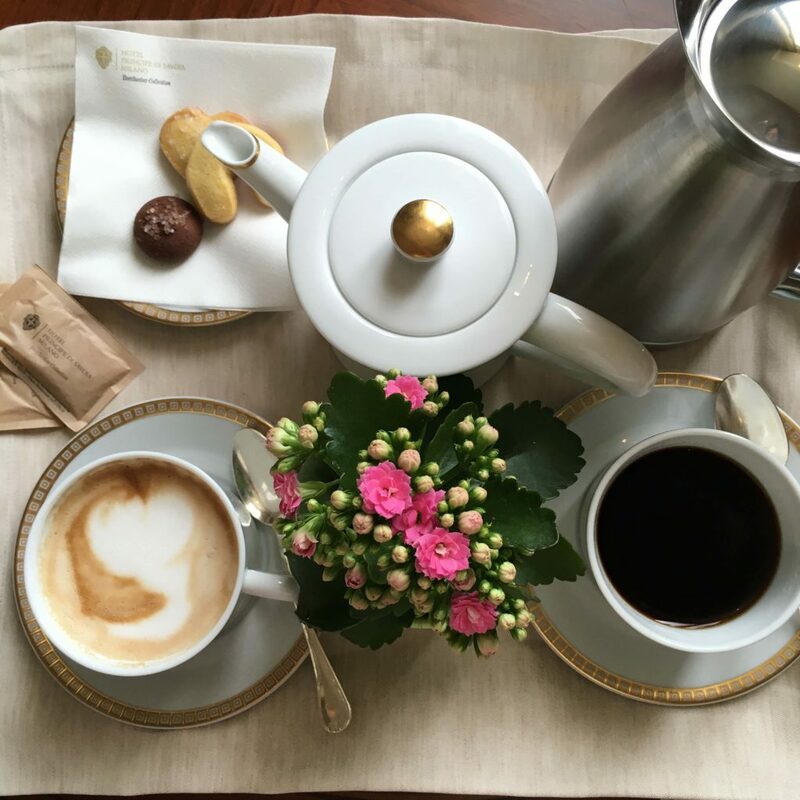 We loved our stay at this grand hotel and couldn’t have asked for more for a luxury city escape to Milan. 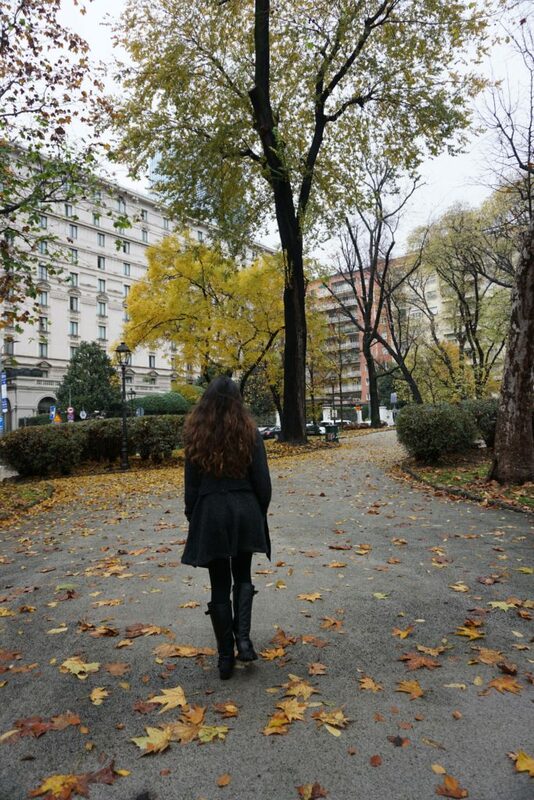 We didn’t expect to like Milan that much since we tend to get lost in a city and prefer quaint towns but we totally fell in love with Milan and I believe that had a lot to do with the hotel we chose. 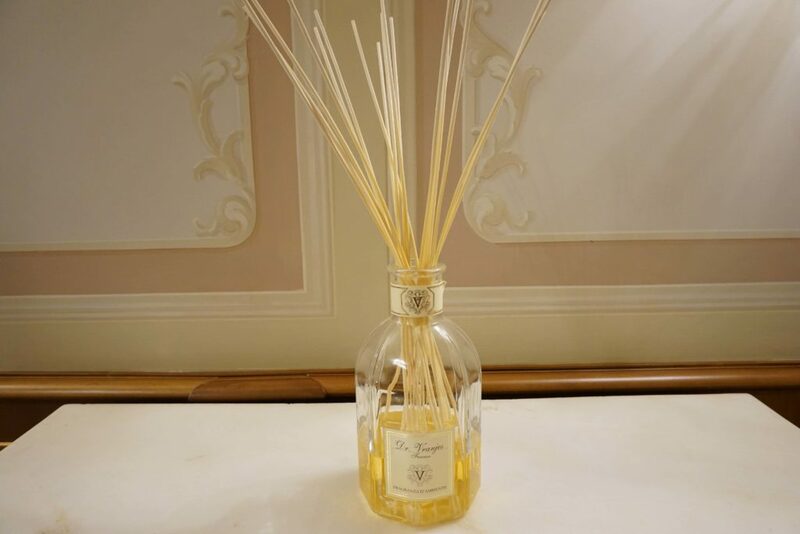 We can’t wait to visit both Milan and Hotel Principe Di Savoia again soon. This hotel in Milan is so beautiful! I must be an expensive hotel with all the grand setting. But it’s worth to stay there for a night! The Hotel looks grand and imperial. 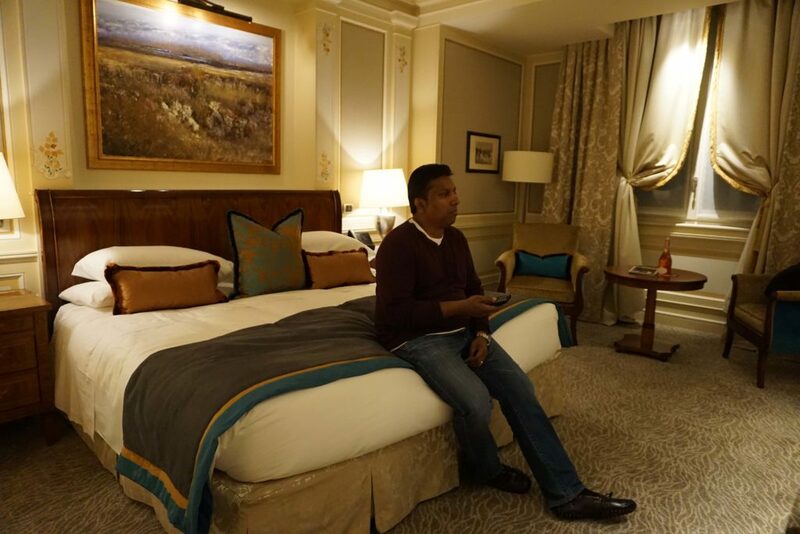 The rooms really elegant and loved the decor which is so pleasing to the eye. The complimentary Limo service is another great bonus. Have only transitioned through Milan, hope to get there someday and would love to stay at this lovely hotel. That is luxury at its best. Simple love those wonderful chandeliers. What a magnificent piece of work. Sounds and looks like the perfect place to stay. I prefer small boutique hotels over the large chains. 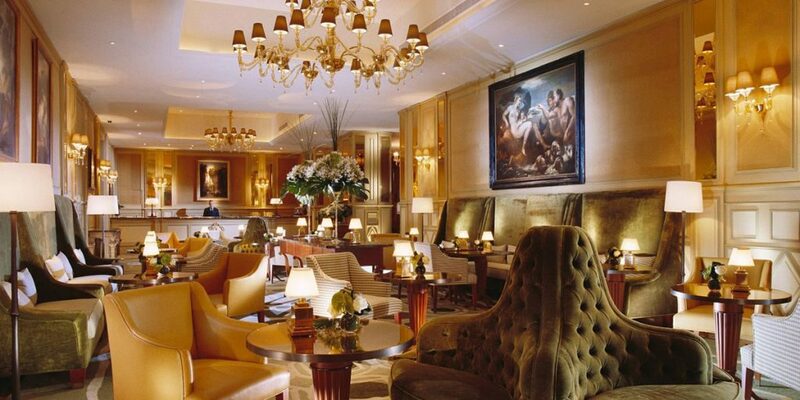 This hotel is so luxurious, its one of those I would love to stay in for sure. Wow this hotel looks simply amazing. Those pictures really sold it to me! I love hotels that provide fluffy slippers and robes. So nice to relax in on of those after a long day of exploring a town. Will keep this hotel in mind when we finally make it to Milan. Thanks for sharing. Looks like a very stylish place for your stay while in Milan. the fact that it is close to the trains station always helps especially if travelling into the city by train. The rooms look very comfortable and roomy. This is such a beautiful and luxurious hotel! Wish to stay there for a night too! The hotel looks so luxurious ! When you stay in a property this beautiful its hard not to enjoy your stay! Limo service?? I am in!